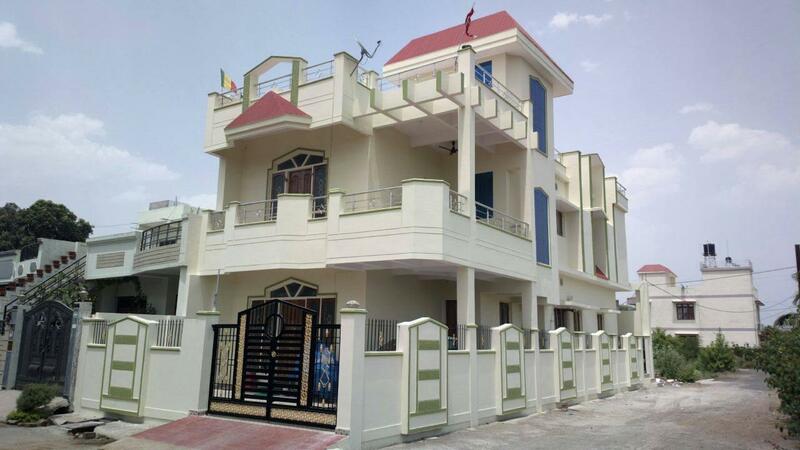 Duplex house,4bhk,corner plot, with SS Railing,Wooden door/windows, sloped roof balcony,decorative porch ceiling, MS Gate, grill and compound wall. Get me a elevation design for duplex house .ground floor with two large size windows at the front...suggest me? ?